In Indian mythology the concept of time is measured in a manavantara. Each manavantara is allotted seven exceptional sages by Brahma, who represents supreme knowledge and righteousness. 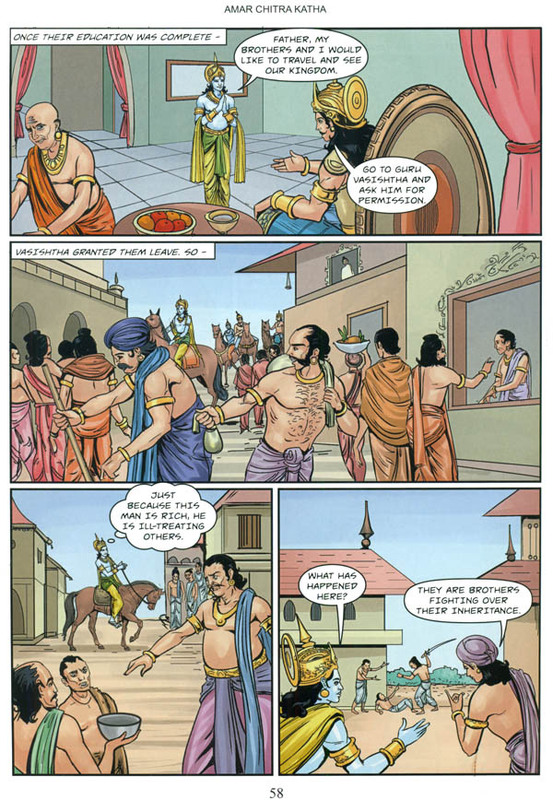 Amar Chitra Katha has captured stories from the inspiring and remarkable lives of the seven sages chosen to represent the current manavantara. Atri, the first of the Saptarshis, is a mindborn son of Brahma. 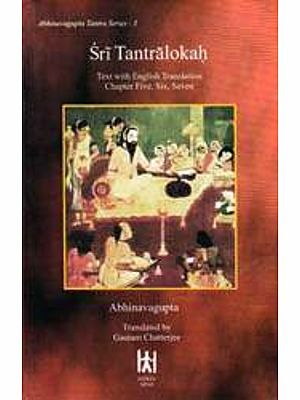 So enduring was his life and presence, that he played a role in the events of The Ramayana as well as The Mahabharata. 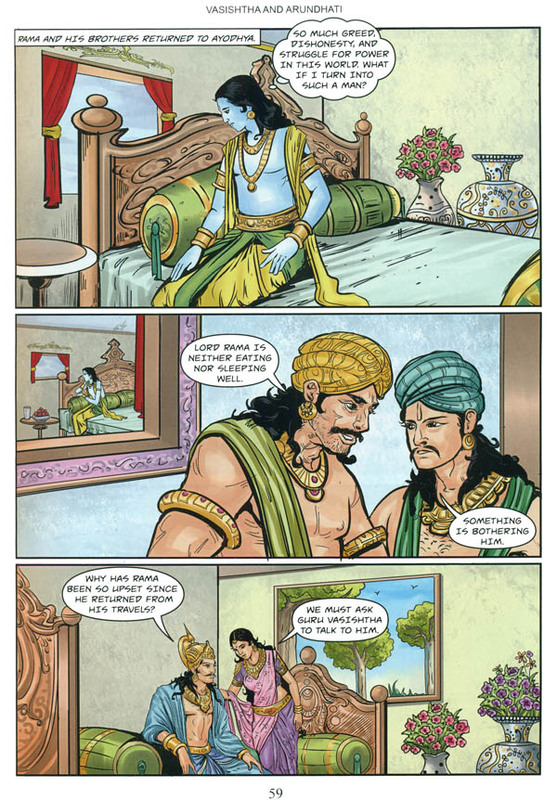 Vasishtha was the voice of wisdom and honesty during the time he spent advising the kings of the solar dynasty. The mutual respect he shared with his admirable wife, Arundhati, was reflected in their exemplary marriage. 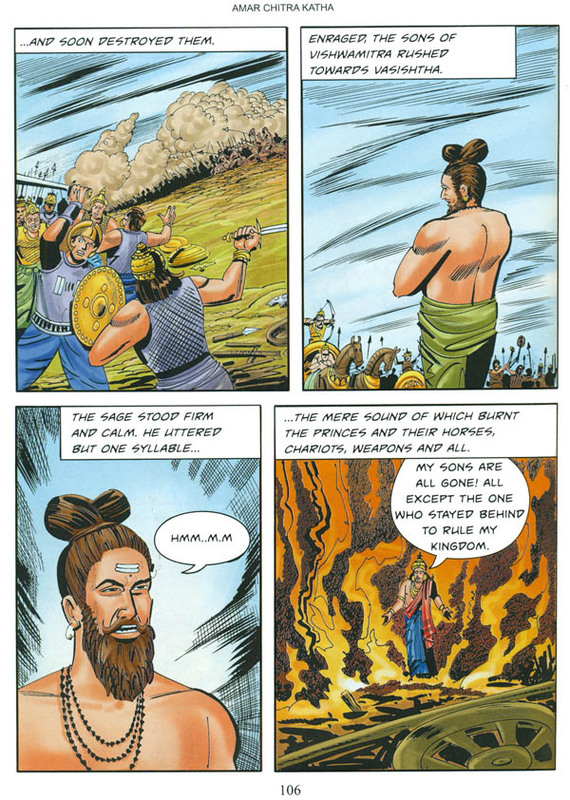 Tasked by Brahma to populate the Earth, Kashyapa is considered the father of all living beings. The origin of all creatures can be traced back to Kashyapa and his wives. 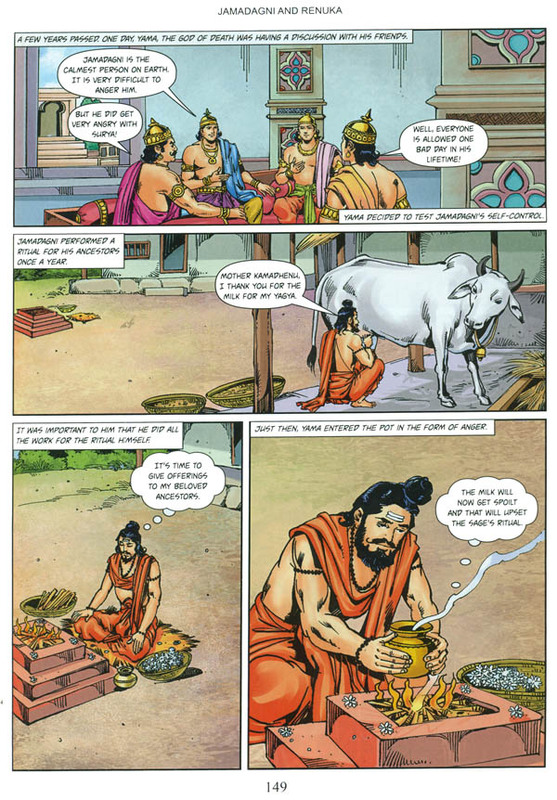 The proud King Kaushika's troubled relationship with Sage Vasishtha gave rise to his transformation into the accomplished sage, Vishwamitra. 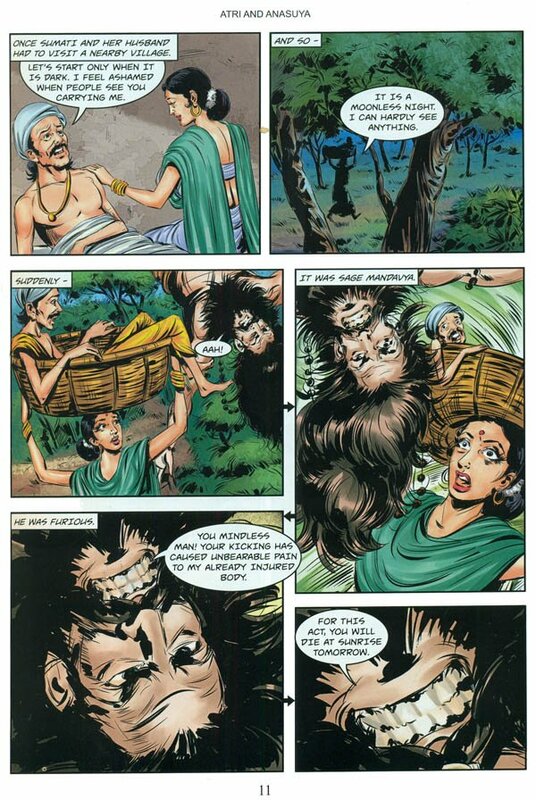 Gautama and his wife, Ahalya, overcame the mistrust and insults of the people of Brahmagiri and brought Ganga to the parched land. 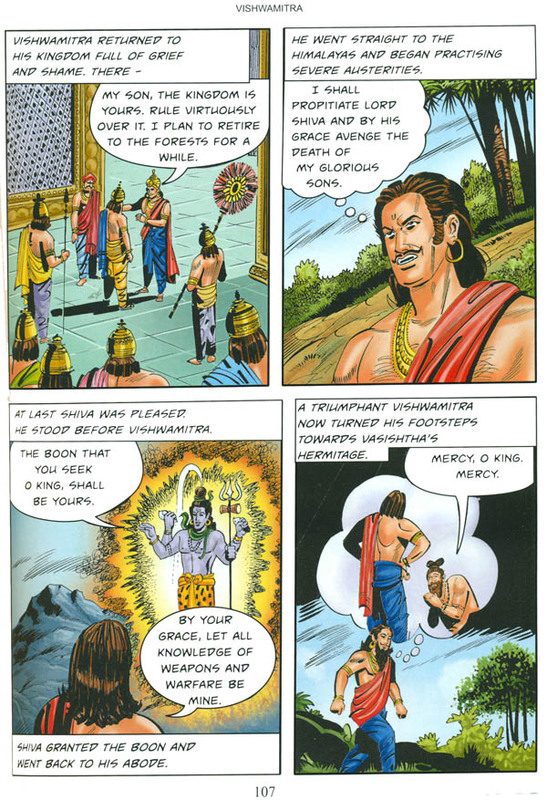 Jamadagni, who was a proficient student of the Vedas, was chosen by Vishnu to be his father during his avatar as Parashurama. 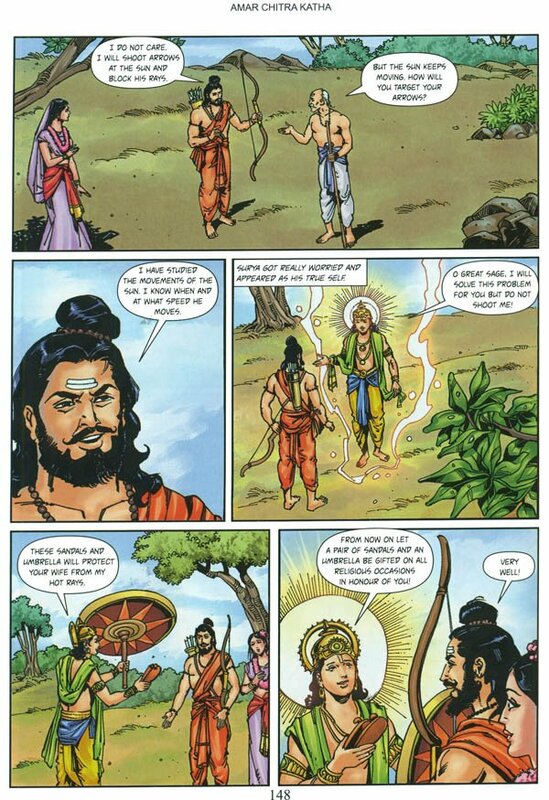 Bharadwaja's thirst of knowledge was so great that he prayed to Indra for a long life so he had enough time to learn. With Indra's blessing he spread the knowledge he gained, around the world.